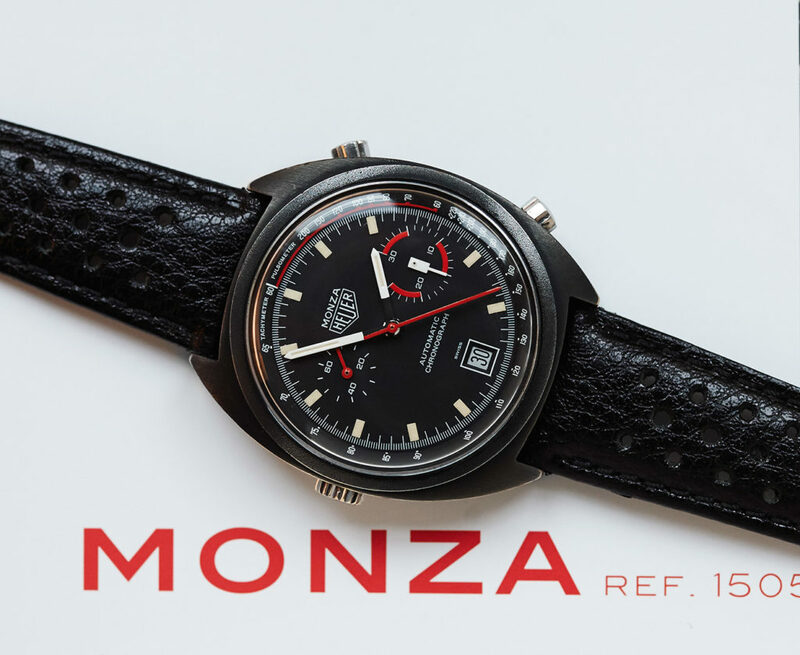 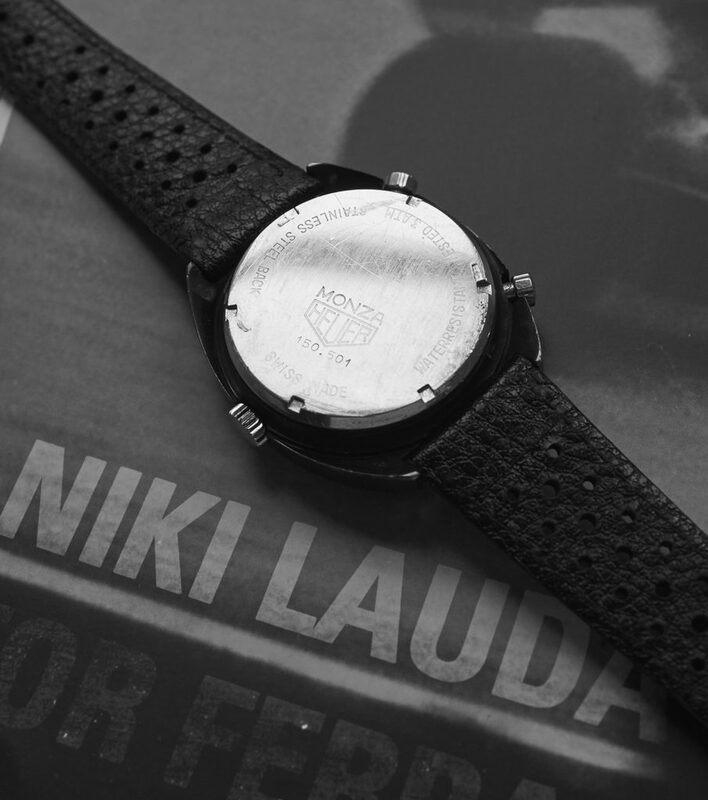 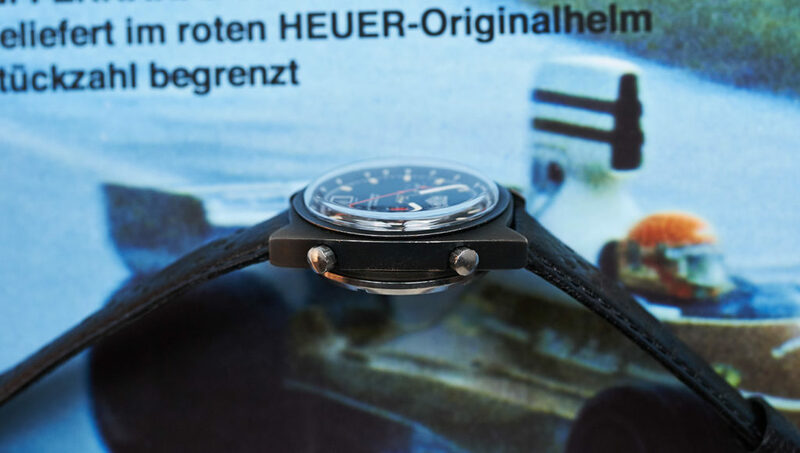 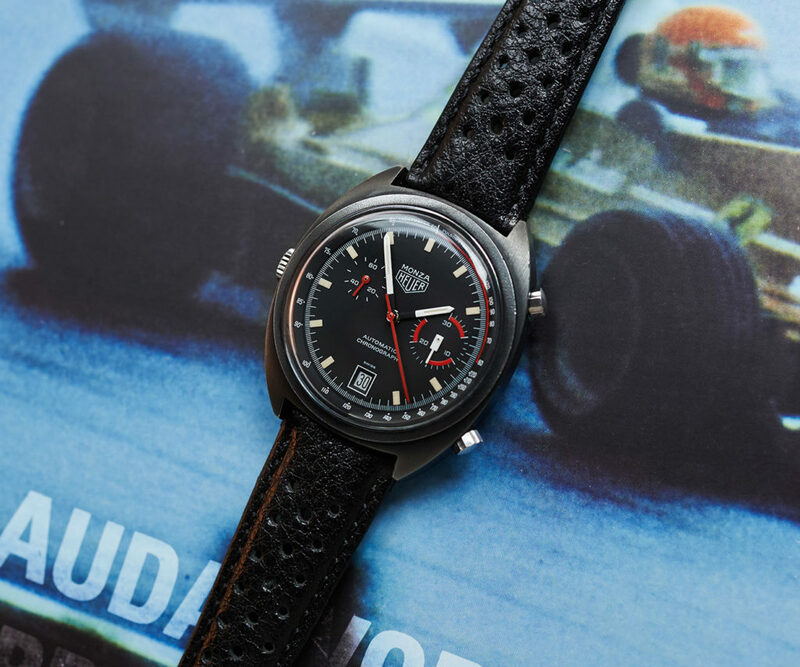 the “Niki Lauda” in very good condition which is almost impossible to source nowadays. 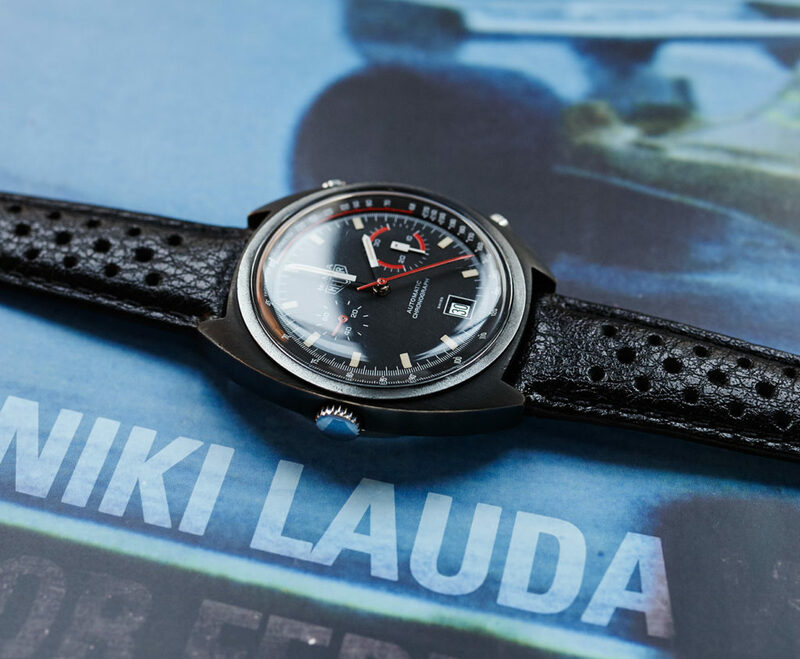 100% perfect dial and hands with original cremecoloured lume. 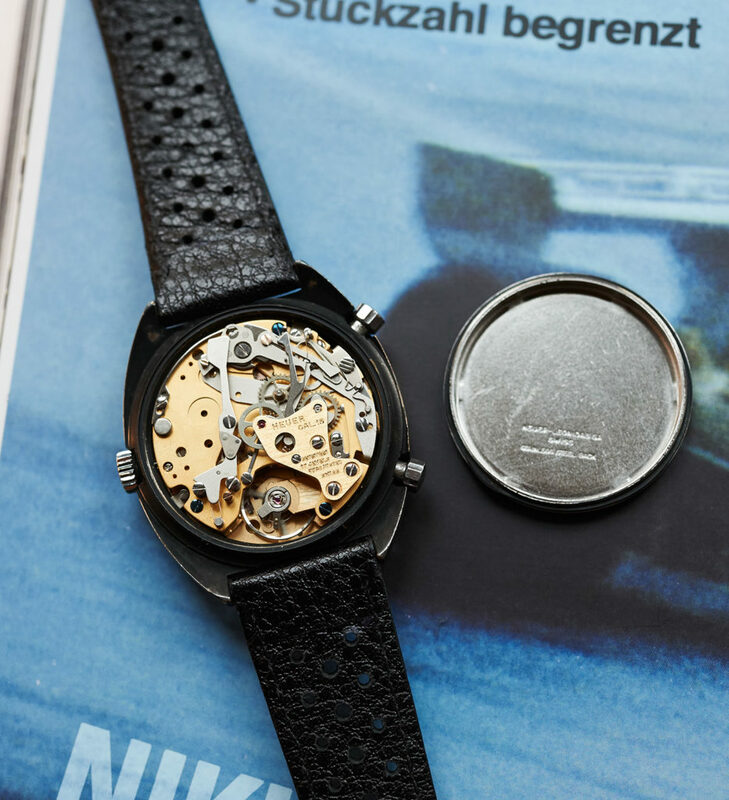 Beautiful unpolished PVD coated case with clearly readable numbers on the caseback. 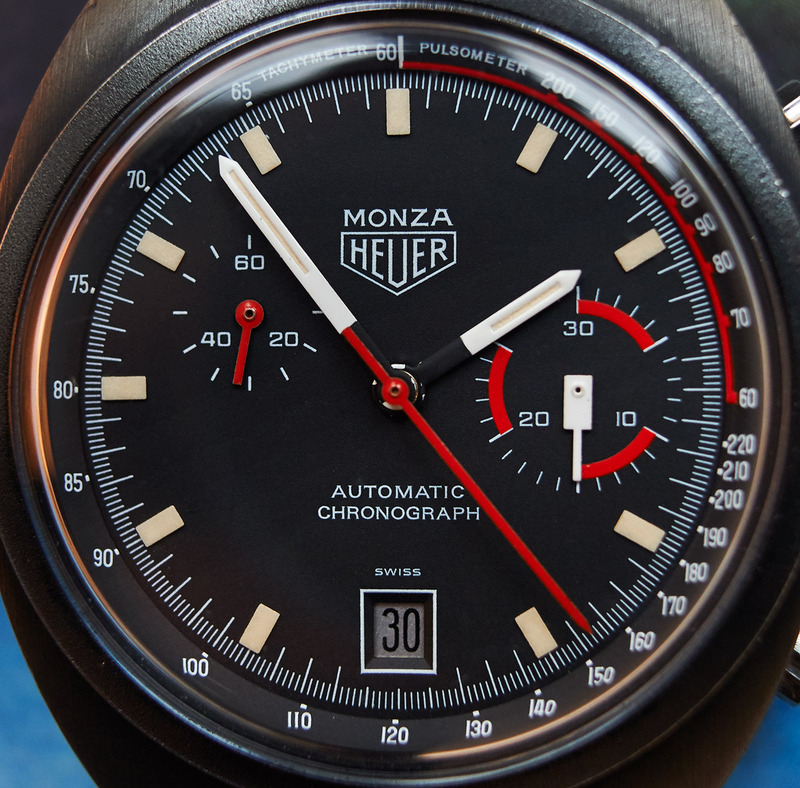 The caliber 15 is running exactly in all functions and was checked through by our watchmaker. 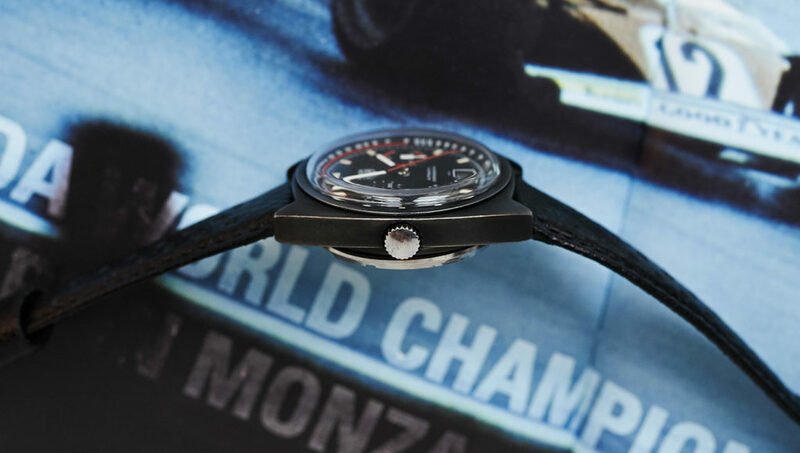 The piece comes on a black racing leatherstrap.